Looking back, viewership of Game of Thrones has ballooned over the past seven years. It’s remarkable how the TV series continues to surpass itself to nabs record ratings for season 7 premiere. With a cast in the hundreds, we are bombarded with new gorgeous, powerful and attractive women every passing season. 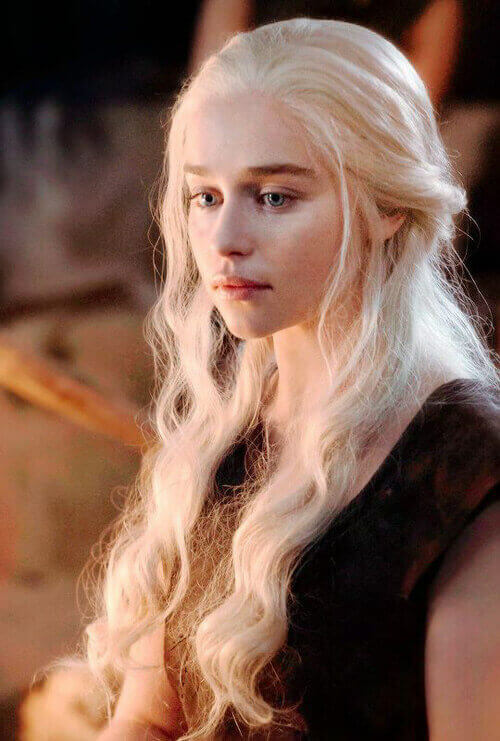 It’s hardly surprising that ranking the hottest women on Game of Thrones makes your pulse race more than the battles. It’s worth taking a moment to admire the strength and complexity of the female characters. As season seven of Game of Thrones is upon us, let’s meet the hottest actresses on Game of Thrones who keep you on your toes throughout the most popular TV series. Oona Castilla Chaplin was born in 1986 in Madrid, Spain, and grew up in Switzerland. She is an actress, dancer, and ballerina. 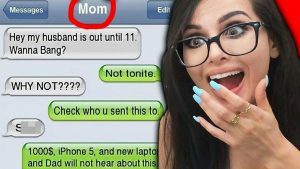 Her mother is actress Geraldine Chaplin. She is also the granddaughter of British comedian and filmmaker Charlie Chaplin, and great-granddaughter of Irish American playwright Eugene O’Neill. 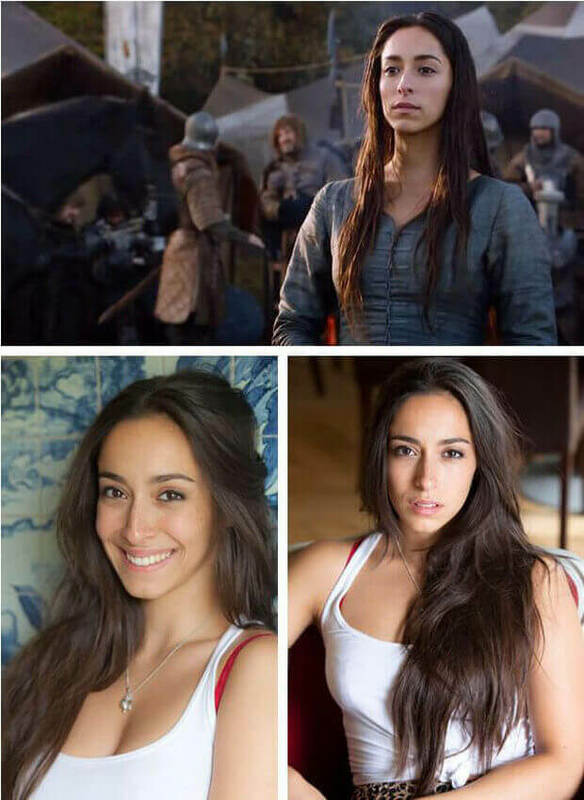 Besides playing Talisa Maegyr, Robb Stark’s wife in the HBO TV series Game of Thrones She is known for playing Marnie Madden in The Hour, Kitty Trevelyan in The Crimson Field and Zilpha Geary in Taboo. She also appears in the BBC series Sherlock as John Watson’s girlfriend Jeanette. Carice van Houten (1976) is a Dutch actress and singer, who has won five Golden Calf (Dutch: Gouden Kalf) awards for acting. She starred in the lead role of Black Book, the most commercially successful Dutch film in history. In Game of Thrones, Van Houten is playing the role of Priestess of the Lord of the Light, Melisandre of Asshai, a new starring cast member for the second season. The actress has received international recognition for her role as beautiful and powerful Melisandre Game of Thrones, however, a lot of people don’t realize that she is the forty – mommy of one. 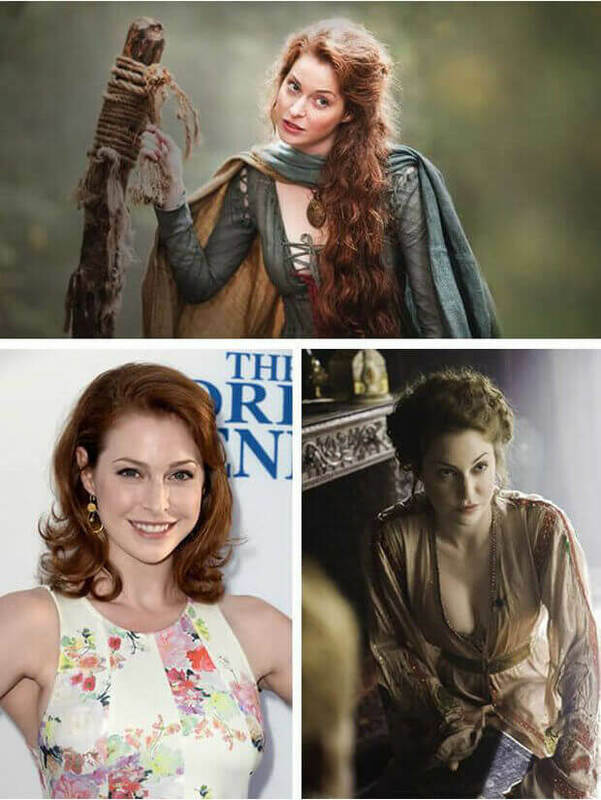 Esmé Bianco (1982) is an English actress, model, and burlesque/cabaret performer, best known for her recurring role as Ros, a prostitute working in Winterfell on Game of Thrones. She also has appeared in a number of short films and music videos. She initially appeared as a guest star in several of the show’s infamous “sexposition” scenes in the first season and returned in this role for the second season. Her role ended in halfway through the third season. Roxanne McKee (1980) is an English model and actress. She has achieved a successful modeling career. In Game of Thrones, she plays the role of Doreah, Daenerys’ former handmaiden who was a useful corrupting influence on the Dragon Queen early on. Though Doreah is not a remarkable character, regarding beauty, she is one of the hottest actresses on Game Of Throne. Sophie Turner (1996) is an English actress. 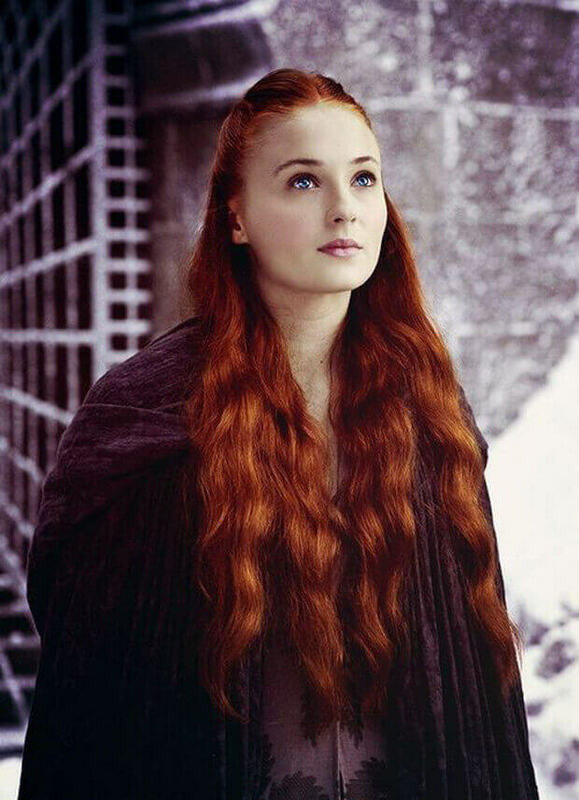 She was cast as Sansa Stark when she was 13 years old in HBO’s Game of Thrones which is known for her television debut. Sansa Stark is a prominent character in A Song of Ice and Fire series. Her character to the foolish romantic girl, she became a woman who is able to face her fears, to endure pain, abuse, and shame. She has the best character development in the series. First, she learns to survive then she takes her fate into her own hands. Turner’s hair had to be dyed for Sansa’s auburn hair since the hottest actress actually has naturally baby blonde hair. Nathalie Joanne Emmanuel (1989) is an English actress. 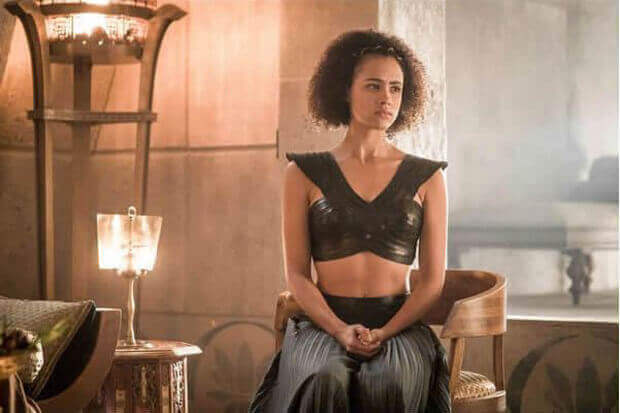 She playing the role of Missandei and joined the TV series as a recurring cast member in Season 3 and 4 and later promoted to a starring cast member for seasons 5 and 6. Khaleesi’s Personal Assistant has so far been primarily relegated to the role of female friend and confidante. In A Song of Ice and Fire, she proves a capable strategist although her character is only 11! Nathalie reprises her role as the computer hacker, Ramsey in Furious 7. Lena Headey (1973) is an English actress, voice actress, and film producer. She has been acting since she was 17 years old as an actress in small and supporting roles in films throughout the 1990s. 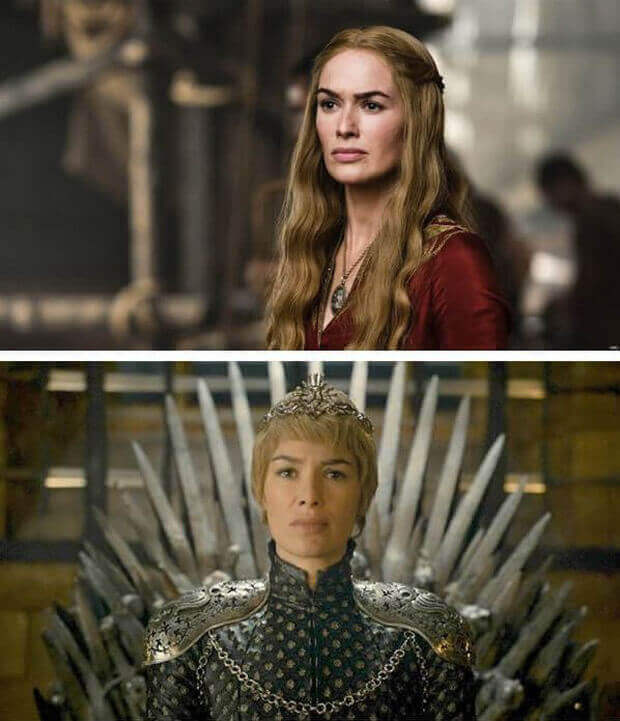 Headey is best known for portraying Cersei Lannister in Game of Thrones who will do anything, literally anything, for her children. 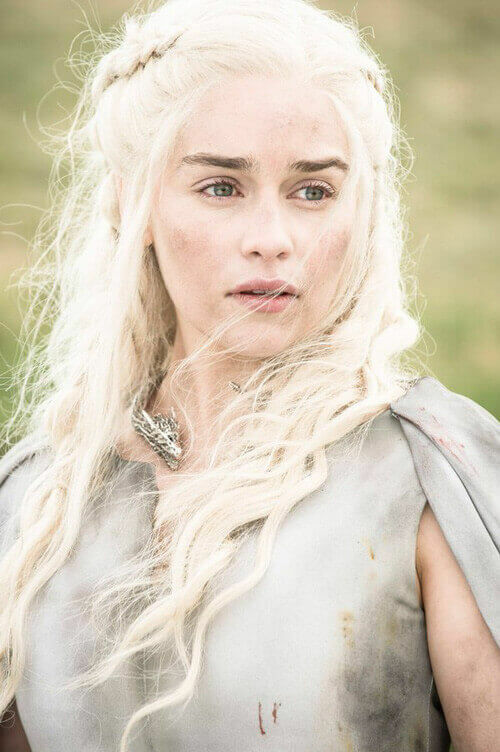 Her character is a prominent point of view character in Game of Thrones. This performance has earned her three consecutive Emmy award nomination. She is also known for playing Sarah Connor on Fox’s Terminator. 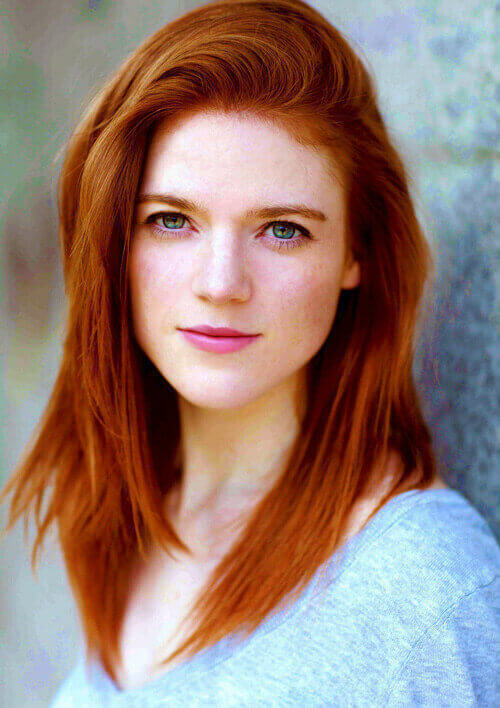 Rose Leslie (1987) is a BAFTA-winning Scottish actress. 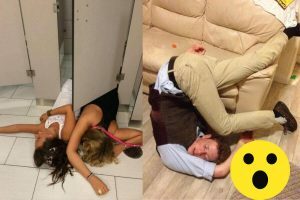 She gots BA Honours degrees of London Academy of Music and Dramatic Art. Before casting the role of Ygritte on Game of Thrones she is known for playing the role of Gwen in the first season of drama series Downton Abbey. 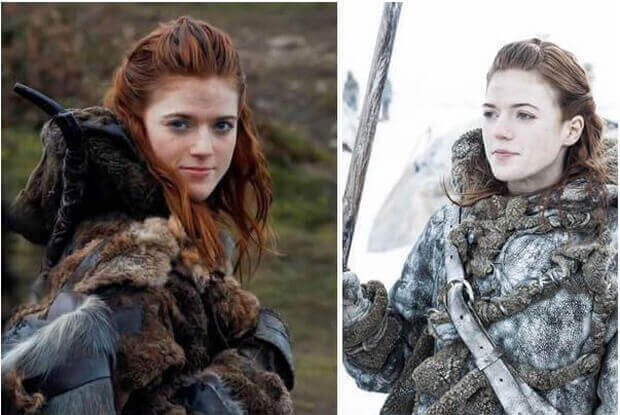 Folk Ygritte debuted in the second season after surviving an attack by Jon Snow and Qhorin Halfhand and her emotionally draining death scene in Jon Snow’s arms at The Wall in the fourth. Natalie Dormer (1982) is an English actress. Prior to working on Game of Thrones, Dormer was best-known for her role as Irene Adler/Moriarty on the CBS series Elementary, Cressida in The Hunger Games: Mockingjay, Sara Price/Jess Price in The Forest. Her portrayal of Anne Boleyn on the Showtime series The Tudors received widespread praise. In 2012, her lead performance in After Miss Julie at the Young Vic attracted widespread critical acclaim. 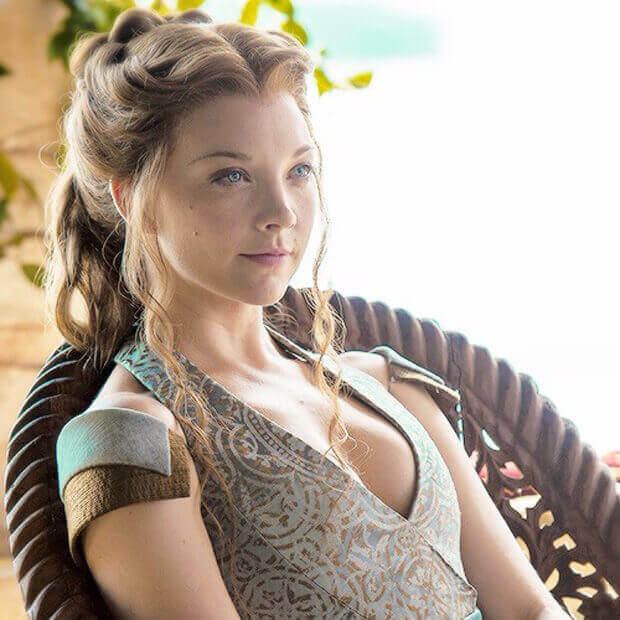 With the performance of Margaery on the HBO series Game of Thrones, Tyrell Dormer gained international attention. 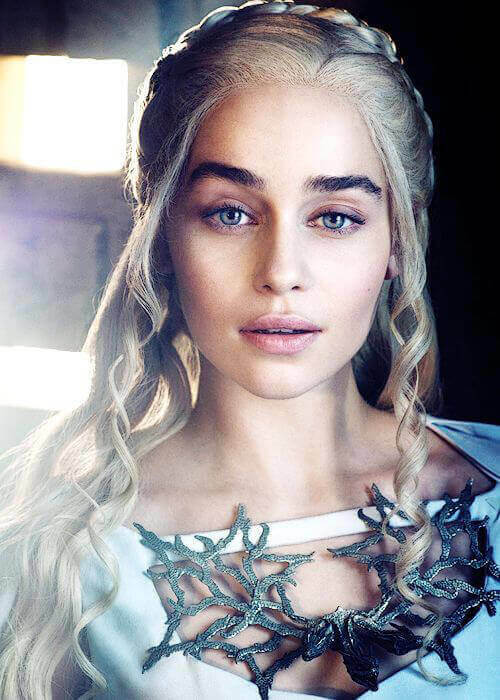 Emilia Isabelle Euphemia Rose Clarke (1986) is an English actress. Prior to landing the role of Daenerys Targaryen in Game Of Thrones, Emilia only had a guest appearance on BBC drama Doctors on her CV. She has landed a string of Hollywood roles since raving reviews for her role as Daenerys. 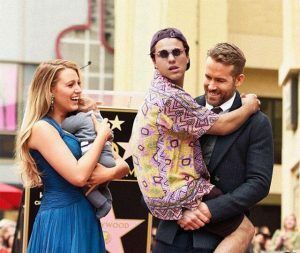 She’s found success on the big screen with Hollywood roles in Terminator Genisys and Me Before You. The actress’s landing the female lead role in the Han Solo origins movie which releases in 2018. Clarke became one of the highest-paid actors on television for earnings of £2 million per episode of Game of Thrones. Besides, she was voted the most desirable woman in the world by AskMen readers in 2014.